So, my Hampi trip during the Christmas holidays was cancelled due to some unavoidable circumstances (obviously, my friends cancelled the plan at last moment! ), and I had no plans for new years too. 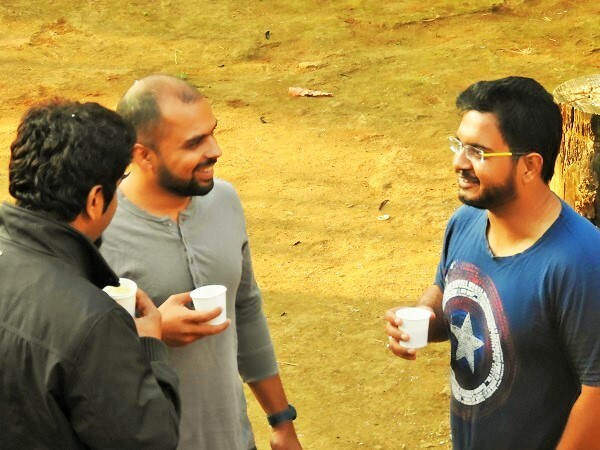 After the cancellation of Hampi trip’s plan, I was sure about one thing: I do not want to make plans for New Years Eve with my friends, because I cannot afford to spoil it and sit at home. Then I thought, why not end the year on an adventurous note. So, I decided to go for trekking. Next task was to choose the destination. 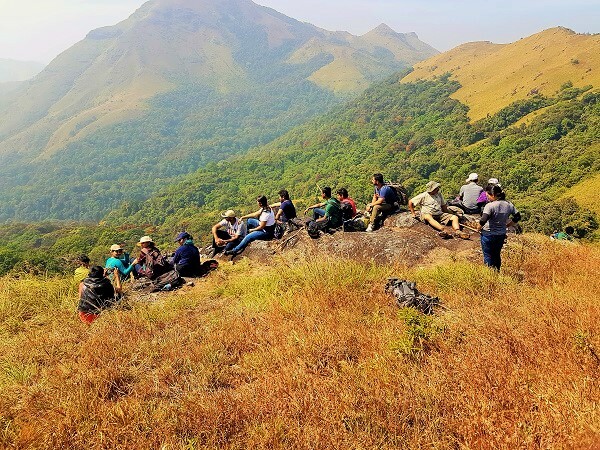 I wanted to go for the Kudremukh Trek, but it was scheduled on either the Christmas Eve’s week or a week after the New Year. 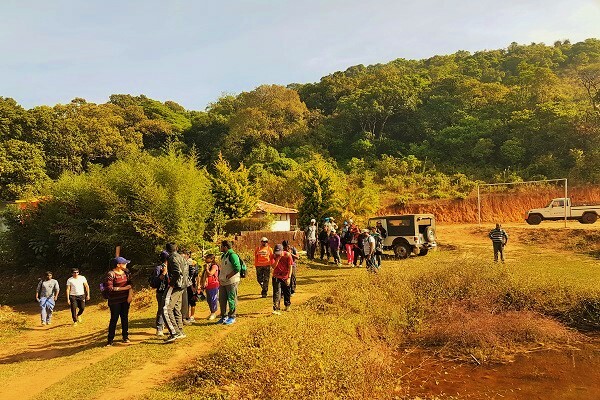 Hence, I was left with a few options like trek to Tadiandamol Peak, Gokarna’s Beach Trek, and a few more. 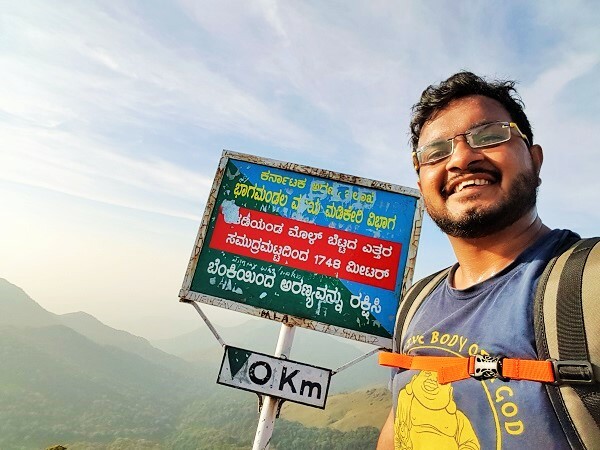 I decided to go for the trek to Tadiandamol Peak in Coorg, which is also the highest peak of Coorg or Kodagu district in Karnataka. I had never been on trek before this, hence, I was so excited. 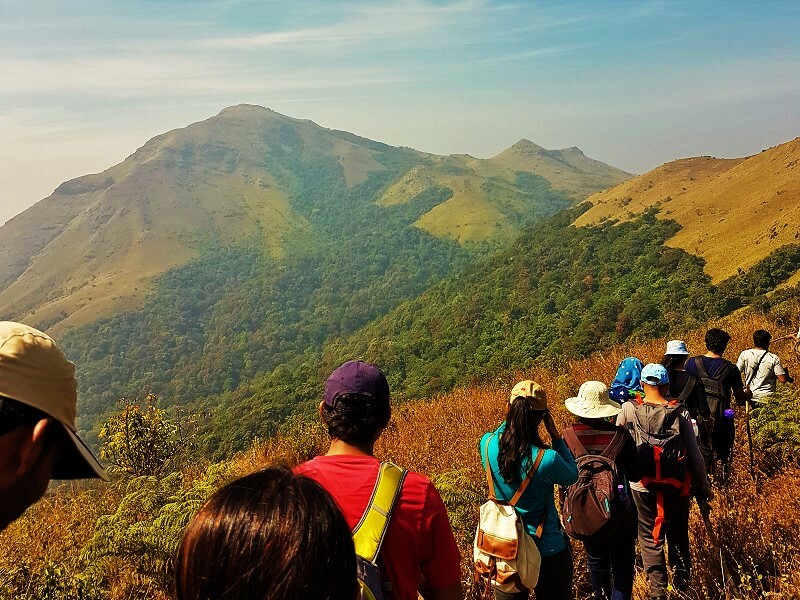 Located in the Western Ghats, the Tadiandamol Peak is the highest peak of Coorg or Kodagu district and is the third highest in the state of Karnataka. 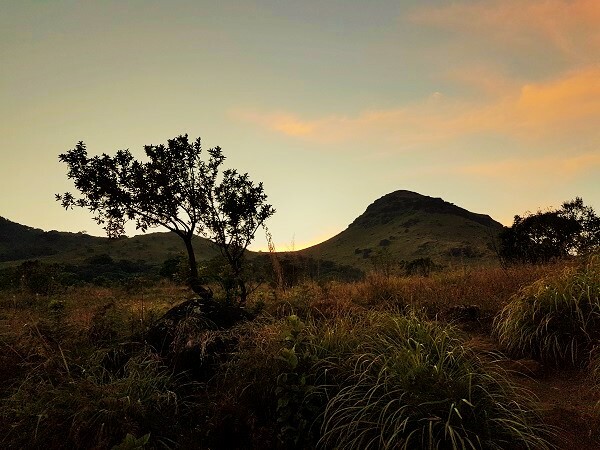 The height of Tadiandamol Peak is 1748 meters or 5,735 feet from mean sea level. 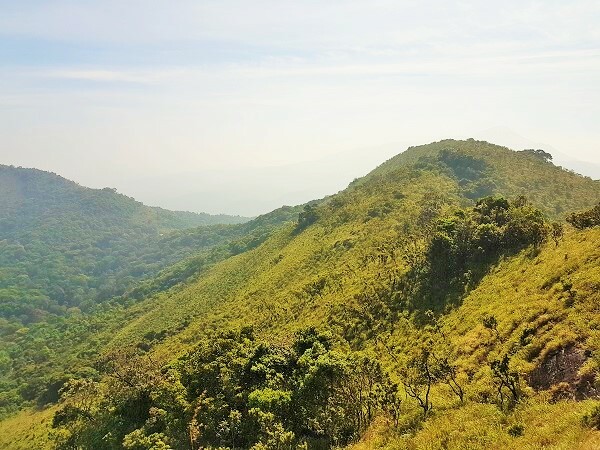 Tandiandamol Peak is one of the most famous trekking destinations near Bangalore. 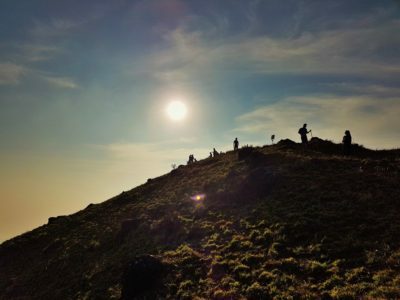 If you are a newbie to trekking, going for the trek to Tadiandamol is a good idea. ‘Get Beyond Limits’ had a fixed itinerary, which was two days long, starting from night of Friday, December 30 and ending on Sunday, January 1. 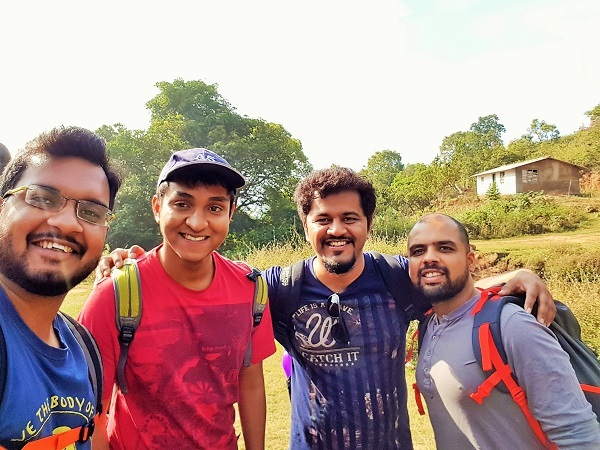 After being picked up from the designated pick up point at around 11 PM, we all headed towards our base camp, which was Kakkabe near Coorg. 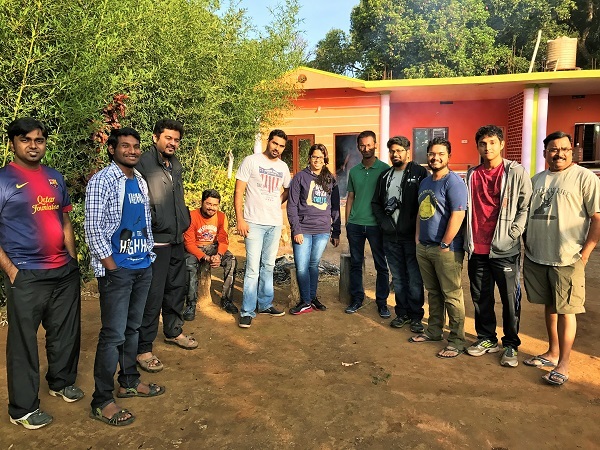 Kakkabe was around 260 km from Bangalore and approximately 4-5 hours of journey was expected. There were approximately 30 people in the group. 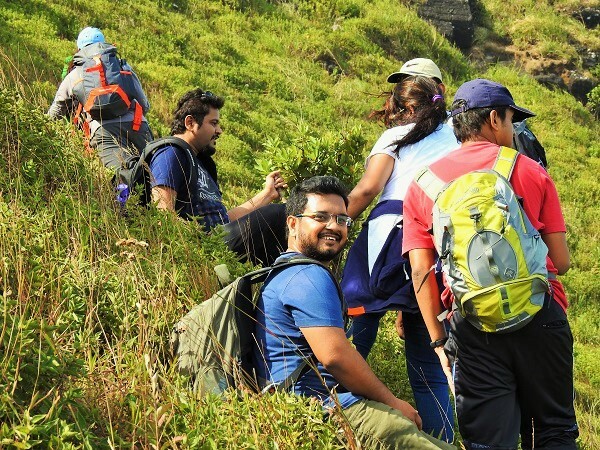 One more reason I chose to go alone for the trek was to meet new and interesting people over the adventurous journey. Once we all were inside the bus and the bus started for Kokkabe, the trek guides introduced themselves and gave a briefing about the trek. After a short introduction of every trekker, we all settled for a sleep as our bus kept on revving on the highway. At around 2 AM, the bus stopped at a CCD for all of us to have a little snack or a cup of coffee. Unfortunately, I had a large cup of latte and that was the worst mistake I did. I couldn’t sleep the whole night and in the morning I felt a little tired. 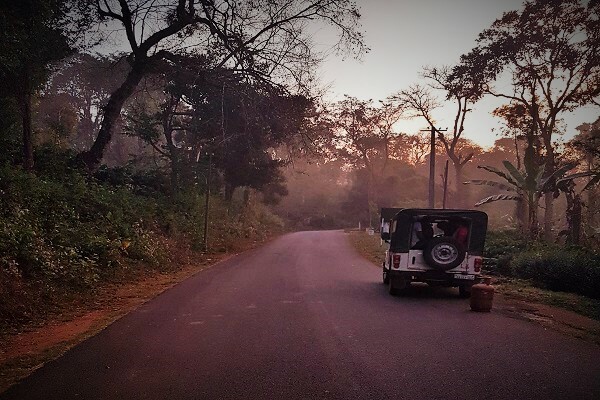 However, we reached Kakkabe at 6.30 AM from where the jeeps took us to our homestay, which was approximately 4 KM inside the dense jungle from the main road. The ride till the home stay was a little bumpy one, but I saw one of the most beautiful sunrises of my life and it was also the last sunrise of the year 2016, which made the ride more special. 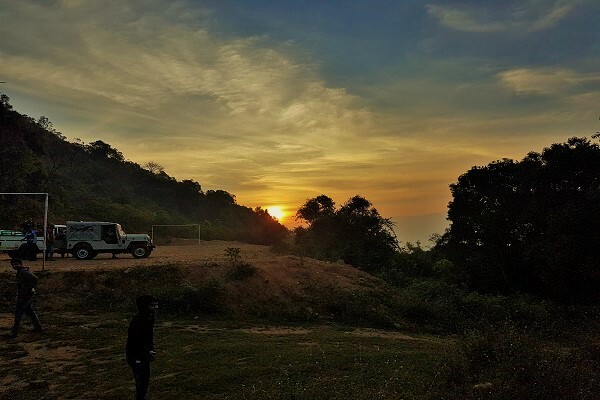 I could feel the warmth of the sunrays filtering out of the dense jungle, making me feel refreshed and energetic, even after a tiring journey from Bangalore to Kakkabe. It took us approximately 20 minutes to reach the homestay. 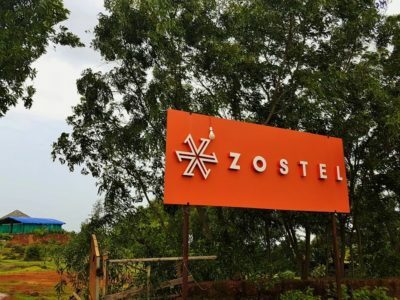 The homestay was situated in a small open area surrounded by the mountains and dense jungles, which had two large rooms and an open space in front where you can sit, relax, and enjoy the surroundings around the campfire. 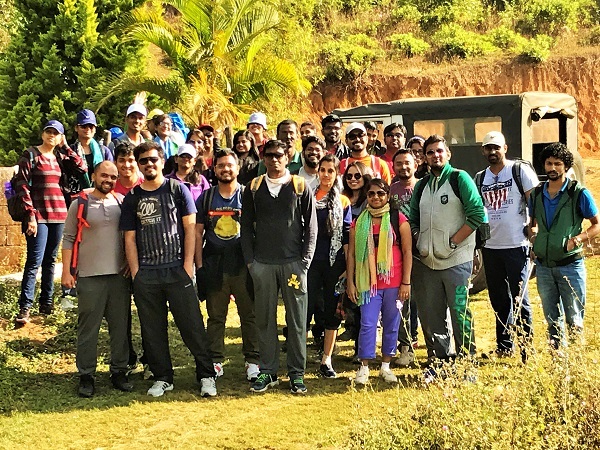 After freshening up and having a light breakfast, we all were set to embark on the trek, which was supposed to be easy but ended up being a little difficult. 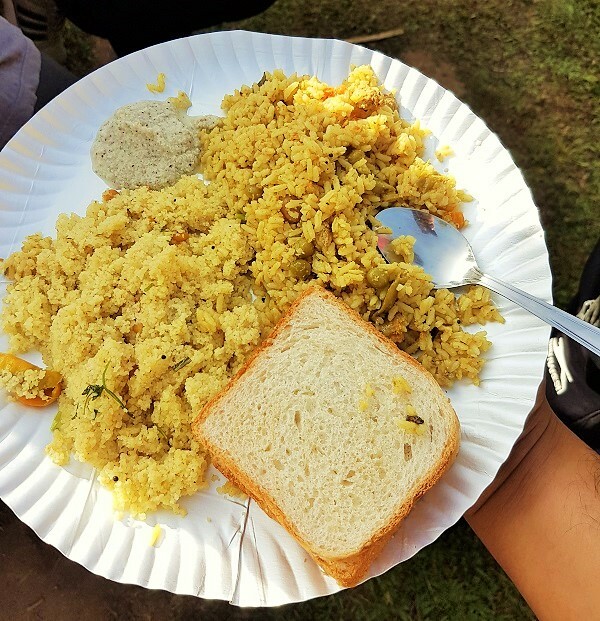 Breakfast – consisted of upma, pulao, and bread toast. 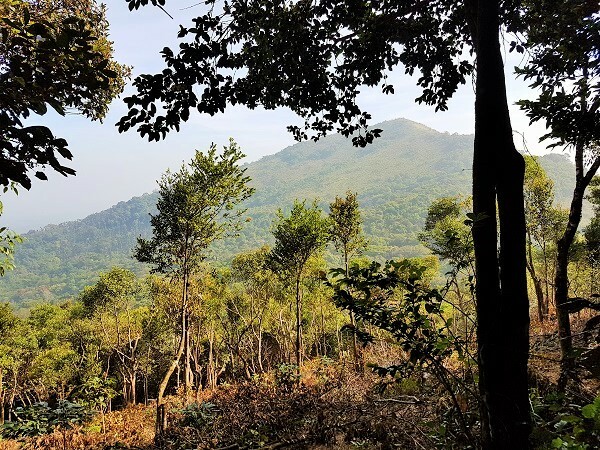 Important note: Generally, the total trekking distance to Tadiandamol Peak is approximately 14 km, two ways. 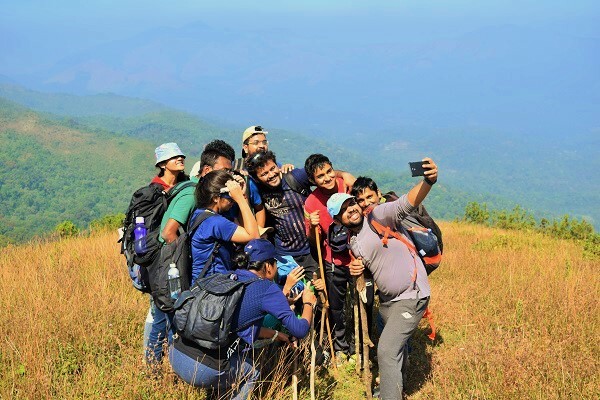 However, the 'Get Beyond Limits' took the other route, which passed through three mountains and dense jungles before we reach the foothill of Tadiandamol Peak and the total trekking distance is approximately 20 km, two ways. 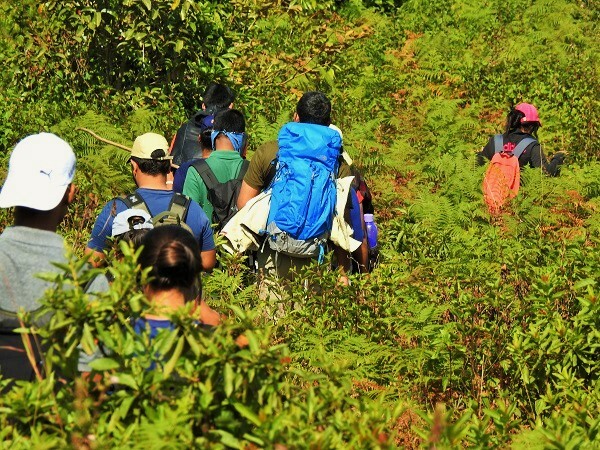 If you take the traditional route, you can find the trek pretty easy and only the last 3 km are very steep. 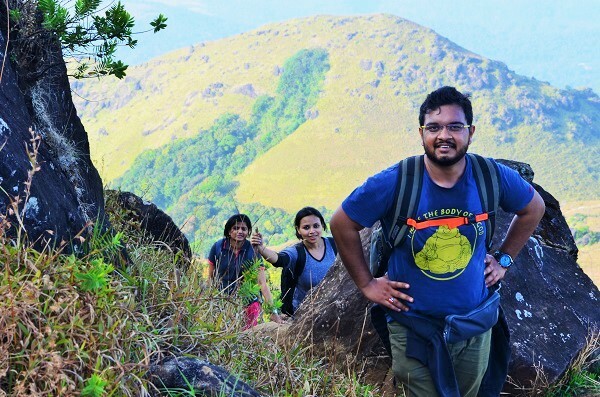 However, if you take the other route, the trek to Tadiandamol Peak can be a little tiring. 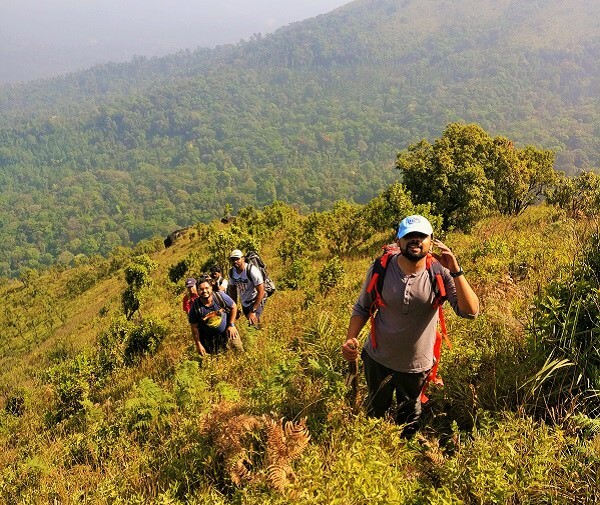 We started the trek at around 9.30 AM and soon after starting, we were welcomed with the mesmerizing scenery of dense forests and mountains. It was December and hence, the weather was little cold but the sky was clear. 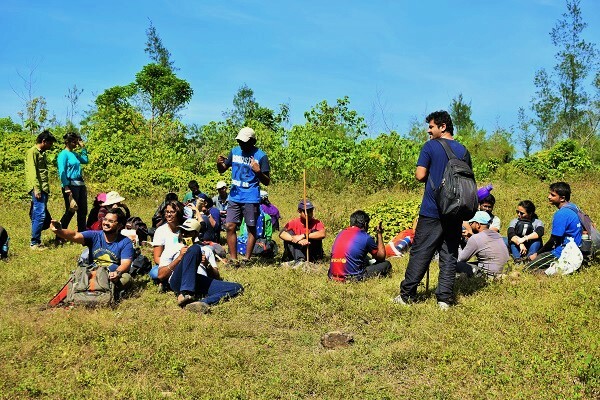 Hence, as we started reaching at heights, we could feel the scorching heat of the sun. The beginning of the trek – Happy Us! Along with the two professional guides, there were two more people with us who were the local villagers. 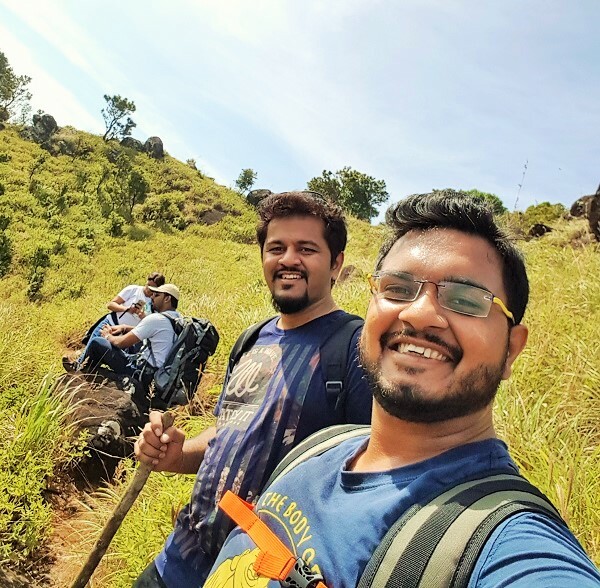 As we were passing through the unexplored trails and dense jungles, those two villagers were extremely helpful in guiding us through the rough terrain. As I went for the trekking to Tadiandamol in the month of December, the majority of the water sources were dry or had very less water in them. Hence, though it is recommended to carry 2 L of water, I would suggest you carry 4 L if you are trekking in December-January or months after that. We had a hard time finding the water source as we all were out of water. However, as we reached the Big Rock, we found a small stream, which had fresh and cold water and perfect to quench our thirsts. It was like finding the Oasis in the desert. After relaxing a little and having our lunch, we were all set to start our final ascent to the top of Tadiandamol Peak at around 3 PM. These 4 km were going to be the steepest 4 km of our complete trek. 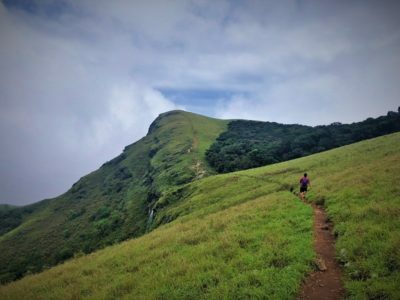 There is a fixed trail, which takes you to the top of Tadiandamol Peak. As we just had lunch and the trail was too steep, it was a little difficult for to continue the trek. So, I was taking rests in between to regain my energy. It seems almost impossible for me but somehow I managed to reach at the top of Tadiandamol Peak. And when I reached at the top, it felt like I have conquered the world. The feeling is indescribable in words. It was so peaceful and amazing at the top. Too tired, bud didn’t give up!!! My friends and I found a secluded place, which was around 100 m from the peak and lied down to enjoy the calmness of the surroundings. The peace after the Victory!!! 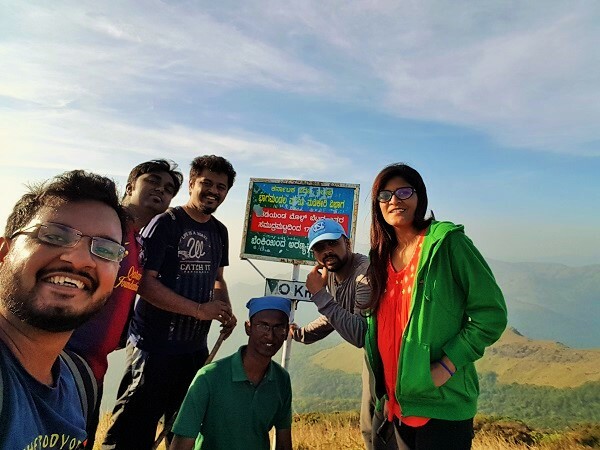 After 45 minutes of rest, we started our journey back to homestay as it was getting dark and due to safety concerns it was recommended by the guides to reach the foothill of the peak by 7 PM. After reaching at the foothill, the jeeps took us to the homestay. 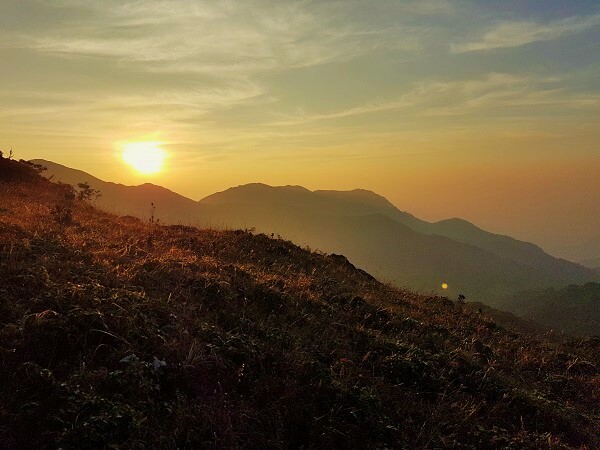 While descending from the peak, I had the chance to witness the last sunset of 2016 and it was one of the most beautiful scenery I have ever seen in my life. The last sunset of 2016!!! So it was New Years Eve and hence, after reaching at homestay, we relaxed and sat around the camp fire until it was 12 o’ clock. Next day, a new sunrise, a new day and a new year. A year of hopes and a year of betterment started. 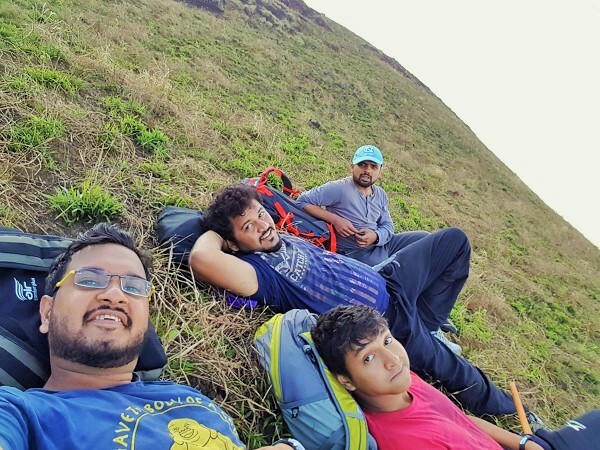 This was my story of trek to Tadiandamol Peak, which also my first trekking experience. 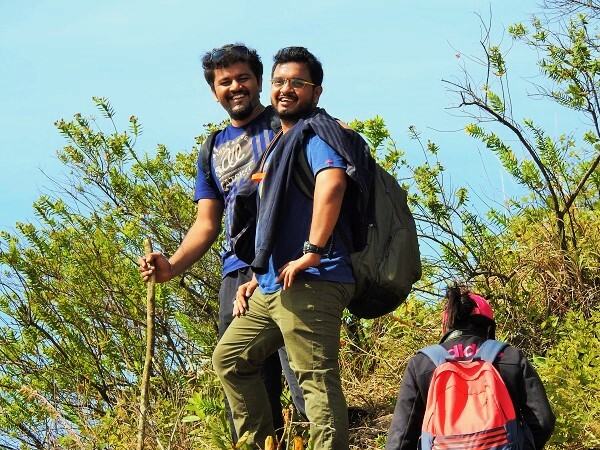 This trekking to Tadiandamol taught me a very important life lesson – Even baby-steps can take you a long way over time. Don’t stand still.